Just picture this: West Ham are losing to bottom of the table Huddersfield after three well-worked goals by the visitors, and Manuel Pellegrini makes the decision to bring on Samir Nasri and Javier Hernandez. Disquiet following these substitutions was later juxtaposed with cheers by the West Ham faithful – but how did these players manage to change the game? The starting eleven was easily one of the best that Pellegrini has fielded during his time at West Ham, including players such as Lanzini, Anderson, and Arnautovic, all looking to set this kind of game alight. Although he is our penalty taker, Mark Noble didn’t seem like a likely goal scorer for the Hammers and the various talents mentioned offered next to nothing when going forward, creating a handful of chances and only registering two shots on target before the half-time whistle went. Manuel Pellegrini made the fairly risky decision of putting Hernandez on for Antonio, who was arguably our best player – hitting the post and creating chances. Hernandez made an immediate impact with his upfront partner in Arnautovic – whose shot wasn’t troubling Jonas Lossl in goal. Mark Noble then departed for the Frenchman Samir Nasri. 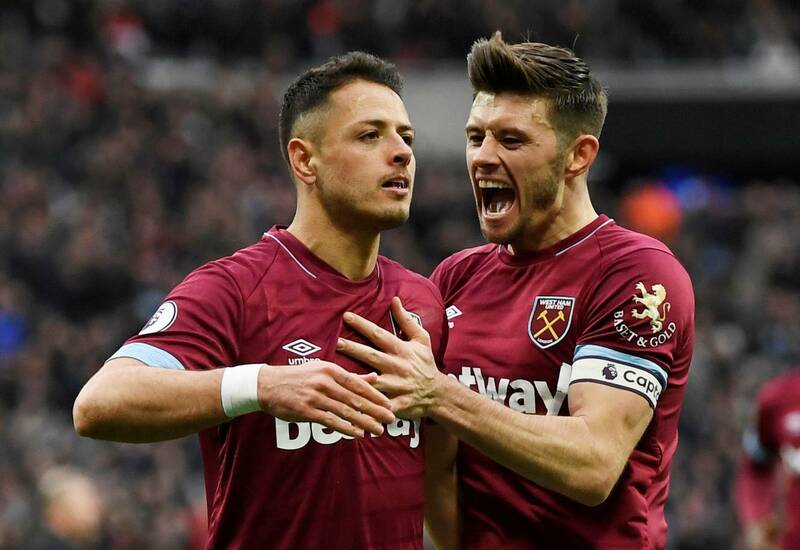 We knew his quality and how much he can take control of a game, and we needed to utilise that aspect of his play – and it turns out that Chicharito was his perfect partner. They both ended up participating in goals to give West Ham the win after a two goal deficit seemed certain to cost us three points. Even though on paper it was a strong starting selection, Manuel Pellegrini hadn’t gotten it right with the players against Huddersfield – but his substitutions were impeccable. However, that’s what they should remain – substitutions. Let’s face it, the front four were one of the best this season and if everyone stays fit, Pellegrini should begin playing this attacking force more regularly as the technical ability combined is just unbelievable. This wasn’t shown against Huddersfield as we just didn’t find that click but this international break is bound to help us – it gives time for Pellegrini to figure out a tactic that is able to display each of the forwards both individually and as a collective unit. Players like Nasri and Hernandez are called ‘impact’ players because they make an impact against the team in the second half when the centre-half’s are faded and the opposition are tired – when starting, these players lose their touch after the half-time whistle, whereas players like Anderson and Arnautovic are able to tap into reserves of energy to keep up their pace for 90 minutes. A game like Everton would be a good match for all of our forwards as Everton are susceptible to capitulating after they concede a goal – proved by this season’s results. Although we should never underestimate an opponent, we have the capabilities going forward to really have a go at Everton and get a win; it would bring back a lot of confidence after Saturdays fiasco. A comfortable win is needed – for the sake of seventh place and for fellow fans’ sanity.